First thing’s first: THANK YOU! Thank you to all of you who helped make this incredible day possible, especially: my incredible and selfless coach (and your wonderful event MC) Jon Waldron for going so far above and beyond, ProForm fitness for hosting the event and providing us with such a great stage and machine, the awesome folks at Hoka One One and STRIVE for supporting me – particularly Rob Martin for making the trip all the way to Boston to be there in person, the Boston Athletic Association for having us at the expo, Karyn Miller-Medzon for her support and media presence, Runner’s World and Level Renner for the great coverage they provided, Steve Vaitones from USATF for refereeing the event, my wonderful family for coming out to support me both in spirit and logistically, and all of you who have supported me and STRIVE online or in person! I couldn’t have done it without you. And finally – one more reminder – while this event was partly about running fast, it was also about raising money for educational development in Peru! Please don’t forget about that part and (if you haven’t already) PLEASE consider a donation to STRIVE at youcaring.com/strive or via the Venmo App to @STRIVE-trips. The $5 you might spend on a cup of coffee could buy a dozen children’s books – please give! Domingo, 19 de Abril, 2015 – 10am: I woke up naturally before 7am for the day’s festivities, feeling great and ready. Had 3/4 of a bagel and a cup of black coffee. Did a few final logistical things and then left the house around 8am. We got to Hynes Convention Center around 8:45am and got in without issue even with all our stuff. I met Jon shortly after and helped bring the rest of his stuff up. It was already about 70F and warming as more people meandered in. We then spent the next hour or so getting everything set up. It was a bit hectic and a nerve-wracking – we had to set up the proof cam, live streaming cam, fans, cooling buckets for cloths/bottles, get my gels/bottles on the machine… just lots of little things to do. Finally, around 10am, I was able to get out of the circus and go warm up outside. Ian MacLellan had come to take some pre-race portrait photos and so we did those quick and then I was able to disappear into the busy Boston streets. Pre-warm-up portrait by Ian MacLellan. The calm before the storm. Despite being very confident about this run, I found myself unreasonable nervous on my warm-up. As I listened to my audiobook (Johnathan Franzen’s “Strong Motion”), I realized that I was only worried about the non-running: would the live stream work? Would Rob be able to hand out the STRIVE gear? 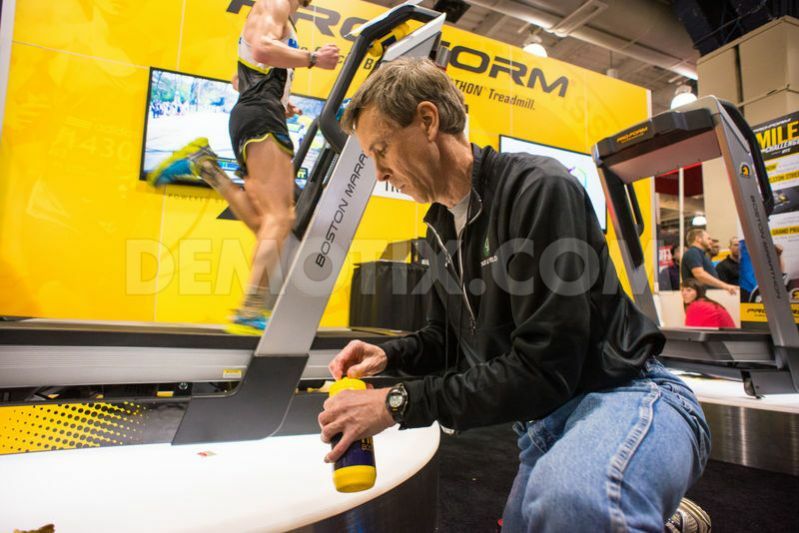 Would the treadmill overheat halfway through and poop out? I realized I had to just focus on running – that was the only thing I had to worry about now. And with that in mind, I realized my legs felt great and I was ready to crush it. I jogged for about 15 minutes. I got back and re-entered the muggy chaos. I had told Jon when I was leaving that I would NOT be ready at 10:30am as we’d planned. This was one of the benefits of being the only competitor in this “race” – I had a bit more flexibility with the schedule. I used the bathroom, got my singlet on, and found myself back at our booth. Somehow, there still seemed to be stuff for me to do besides just prepare for my run. Eventually, though, it got to the point where I went to do some drills – which was basically impossible – and then was just about ready. Finally, I was able to practice the start with Steve Vaitones from USATF who was our official referee. This basically counted as my one and only “stride” (about 200m at 5’00/M pace). And then, we were ready for the real start and a whistle blow later, I was off. 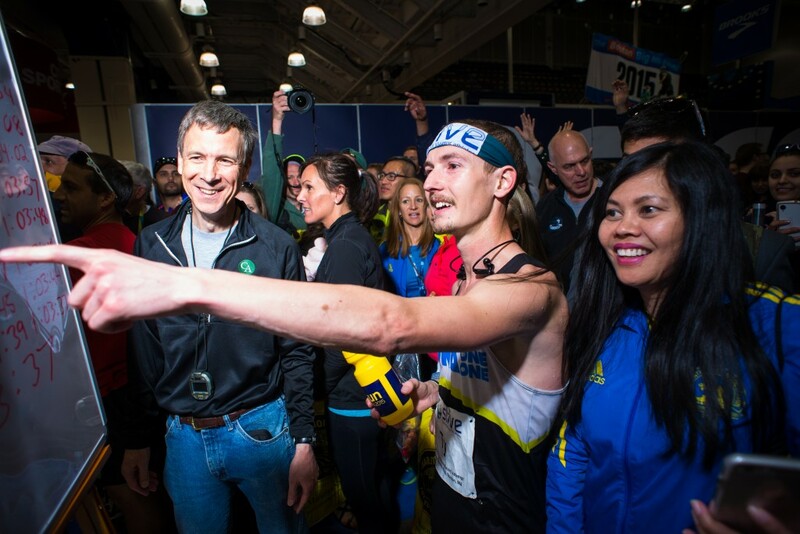 My coach, Jon Waldron, and I had talked a lot about how we wanted to approach this race. We knew the record should not be a problem unless one of a few things happened – an extremely aggressive start, an over-heating problem (we’d talked a lot about the possibility of having problems with heat in the expo center), or some other unforeseen circumstance like a day-of sickness, etc. So, our first tier goal was to run under the current WR (67’19). The next tier that we talked about was running under 65’00, as there was a time bonus from one of the event sponsors, starting at 65’00 and increasing with each minute faster. Based on recent workouts and races, we thought this would be a very good goal, and sub-65 would be an “A” day. So, the plan was to run 15’30 for 5k and then see what happened, hopefully increase the pace a tiny bit in the second 5km to come to 10k under 31’00. 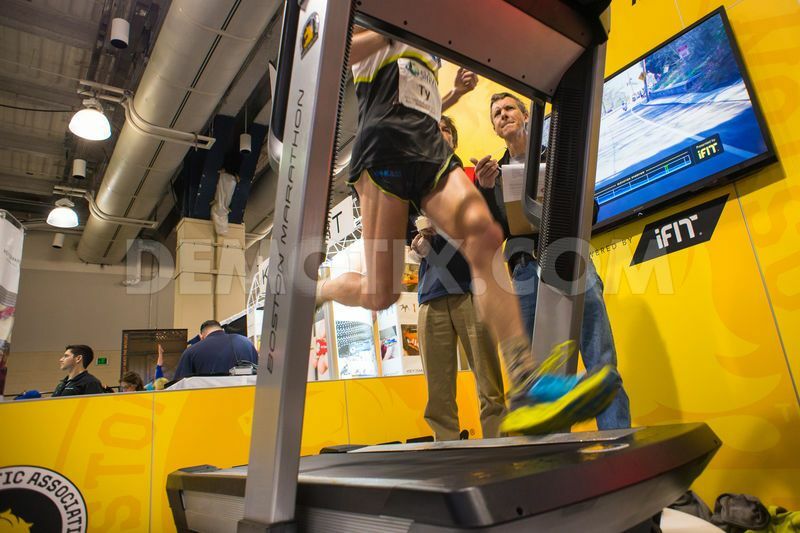 One of the great parts about running on a treadmill is that you have such fine control over the pace. I set the machine at 5’00/M (we were using miles, not kilometers, much to my dismay), and just relaxed. The pace felt extremely comfortable – dangerously comfortable – like I could be running a marathon. 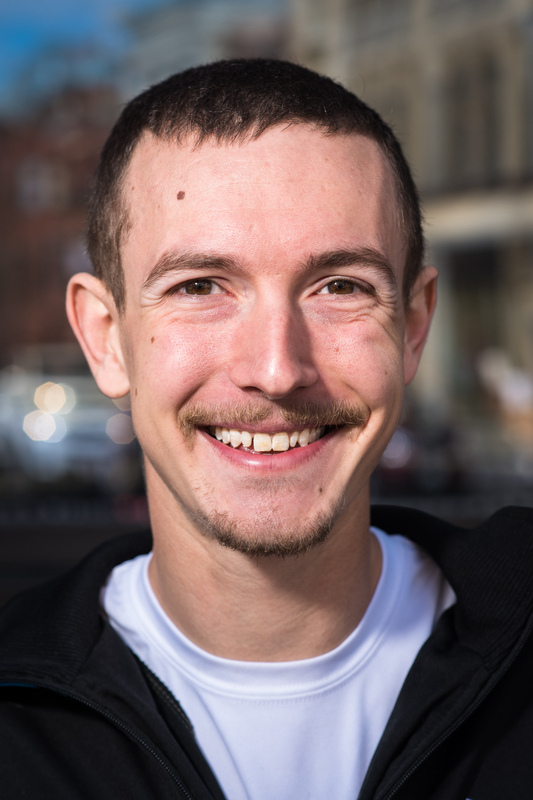 I remembered how I had felt at CIM, though (when again, the pace had felt way too slow in the first stage of the race and I had accelerated way too hard), and just enjoyed the relaxed early miles. I increased the pace a tiny bit, maybe around 3k or 2M just up to 12.1mph (4’58/M) which brought me to 5km in 15’28. Jon was doing a great job of communicating with me – writing my splits on a whiteboard with my projected finish time based on the last split. Each mile, it was getting faster. I increased the pace a bit more in the next 2km. Just before the 5-mile mark, I was running about 4’55/M and said to Jon “I can run under 64 minutes today, but if we’re going to go for it, I need to decide now.” Jon told me be careful and not go crazy. I said I would try 1km at 3’00 pace and see how that felt. And so, I passed 5M in 24’47 (8km in 24’38) and increased the speed to 12.4mph (4’50/M, 3’00/km). At first, I felt the increase in tempo and thought this was not sustainable, but I actually really relaxed into it and by 9km, I figured I would run through 10km and then make another decision. I passed 10km in 30’38 (15’10 second 5k) and the pace felt just right. It felt tough but the calculus in my mind told me that I had another 30+ minutes at this pace. And so I just kept it going. Each mile, Jon would show me my projected finish which kept getting faster – already well under 65′. He also showed me a few times the pace I’d need to run under 65′ and the pace I needed to run under 64′. The pace for sub 64 was still faster than I was running, but I knew that no matter what, I could make up 10-20 seconds at the end with a fast last 1000m or so. I don’t have too much recollection from these middle miles from about 10k to 15k. I left the pace alone at 3’00/km and just relaxed. I had taken a gel at 10k and was taking watered down powerade every 10 minutes or so and dousing myself with icewater at least every mile. My body felt fine, but I was listening very careful for any early signs of distress. At 15k (45’38, 15’00 3rd 5k), I knew I had a lot left. At 9M, my projected finish time had dipped below 64 minutes for the first time and each split, I felt more and more confident that not only was I going to be able to hold on, I was actually going to be able to accelerate. I had never gotten to this point in a half and felt so good; I knew I was going to be able to do something exciting. I had been feeling good for that 3rd 5k but had told myself to be patient, as I knew that 8-9M was often the point in a half where I began to struggle. So, when I got to 15k feeling great, I decided it was time to accelerate again. I felt the pace increase and my body told me that this going to be uncomfortable, but I was confident I’d be able to get through it. I passed 10M in 48’53 (almost exactly what I had run for Cherry Blossom last week) and with just about 5k to go, I realized that I only had to run around 15’00 to break 64. This meant that I could actually slow down and still hit it, which was very exciting. Still, I wanted to be patient and I was already running fast, so I kept the pace the same at 4’47/M through 11M (53’39). I started trying to do mental math – subtracting from the end how much I would have to run over what distance and converting from miles to km and everything, but it was mostly impossible. I accelerated again and passed 12M in 58’25 (a 4’45 mile) and came to 20km in 60’24 (14’46 4th 5k, 29’45 2nd 10k!). I knew I had just over 1km left and so I really increased the pace at this point to about 2’50/km. Just as I’ve found in workouts, this penultimate, “long kick” gear was there and this felt like a very terminal shift, but I knew I would be able to sustain it for another 3 minutes. 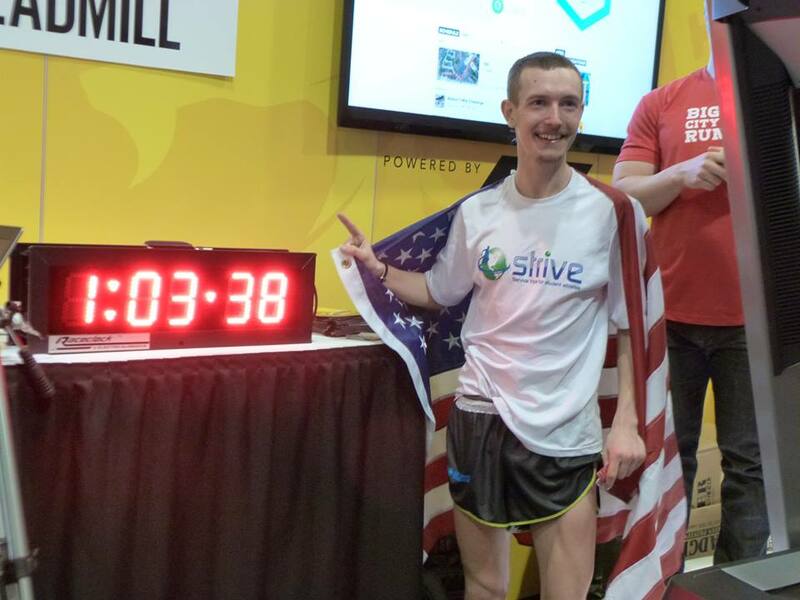 The race would stop at 13.13 miles (the extra distance added in accordance with the USATF correction factor), so I just kept counting down to that in my mind. I liked that the display showed your position on a 400m track, so I could see when I had exactly 1k, 800, 500, 400, 200, etc. I kept increasing the pace until it reached 14mph (~63 sec 400m pace) and decided this felt about as fast as I could close. Then, I just focused on hold form and making it to the finish. I let out a celebratory WOOO and gave him a big high-five/hug and the crowd cheered. It was a truly joyful moment. The next 20 minutes were pretty wild – people coming up to me and asking for photos, snapping selfies, taking pictures with the clock, hugging friends and family and teammates who had come out. It was just about as good as it gets. I helped our whole crew pack up and finally we headed out and I was able to get in a very short cool-down before a wonderful celebratory brunch. 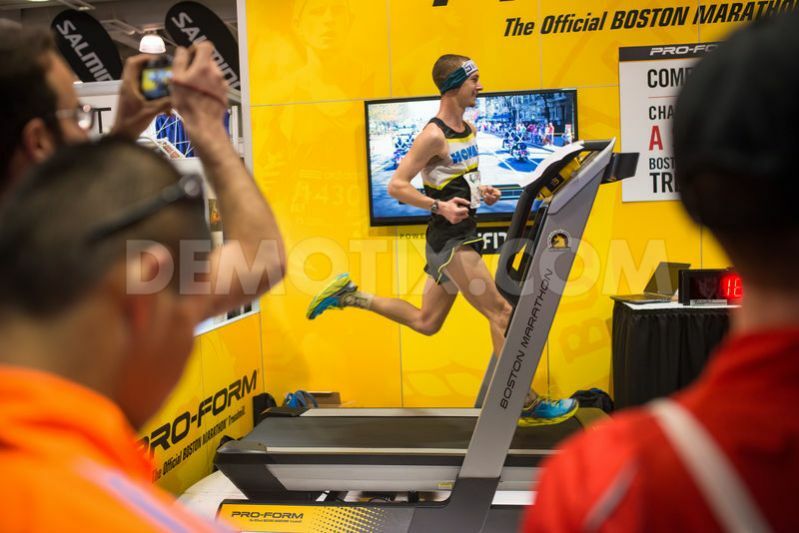 Now – the question that all the running nerds will want to know – 63’38 on a treadmill: what does that mean? Honestly, I think it’s pretty close to what I could run on a VERY flat course (i.e. Houston, Indy Monumental). Based on my workouts (like running 10km in 29’54 and feeling very comfortable), I think that 3’00/km is very close to my current HM ability. I think I struggled a bit at Cherry Blossom because I didn’t have quite enough taper and I had some breathing issues (I have horrible spring tree pollen allergies). A bunch of guys at Houston that are pretty close to my ability ran between 63’30 and 64’00, so I don’t think this is that crazy. 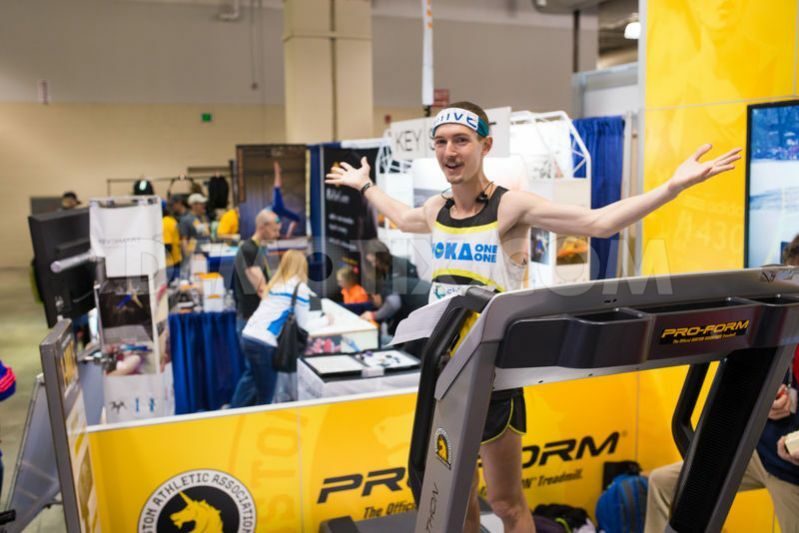 Obviously, the treadmill makes some things easier – there’s no wind, no turns, no hills, you have perfect control over pace, etc. 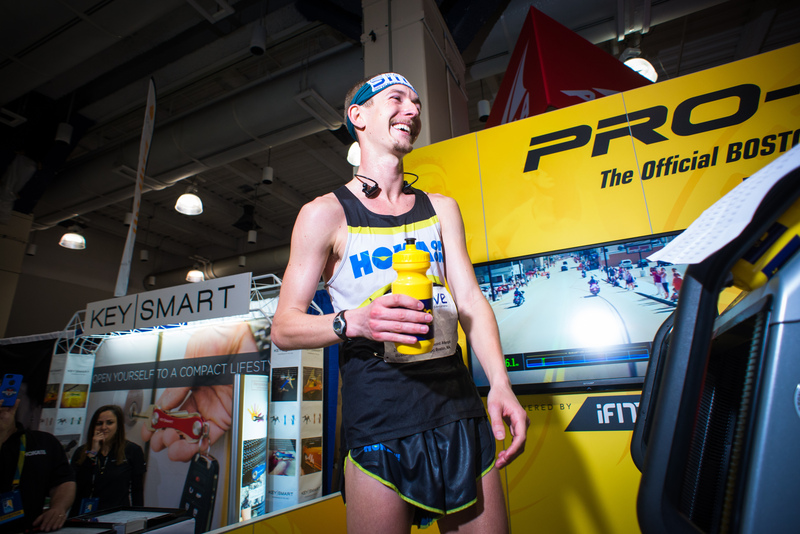 But also there are things that make it more difficult – the mental aspect of pushing yourself I think can be harder, for us, the temperature was also a factor as it was over 70F in the expo, the treadmill surface is a bit less responsive than running on pavement, etc. All in all, I think the trade off is close to even. I am definitely in “new territory” fitness-wise and I knew that coming in. I felt incredible coming into this race and was extremely confident in my fitness and race plan. My weight was perfect (116 lb all week). I just KNEW I was ready for a big performance, whether it was on road or track or ‘mill. So, where does this take us? It gives me GREAT confidence moving forward. I have a marathon to run in 2 months and that’s really been the number one goal all season. But this is a huge stepping stone towards that. According to the famous McMillan Calculator, 63’38 is equal to a 2’13’55 marathon. Grandma’s is not a perfectly flat course, but that number certainly makes me think that sub-2’15 is not out of the question with a good day. Now, I’m going to take these next two months and take this great half marathon shape I’ve got myself in and extend it with a lot of big marathon-specific workouts. I can’t wait to get into it! Thanks so much to everyone who came out and supported me in person and to all those who gave their support from afar. One final reminder is that while I did get to run fast, this event was most-importantly a FUNDRAISER for STRIVE and the projects we do in Peru! If you enjoyed this recap or came out and watched, please consider making a donation at www.youcaring.com/STRIVE. Any amount will help. Thanks in advance!